Since Nov 10th, 0740h UTC AMSAT-DL and Bochum Observatory are receiving again space weather data from the STEREO mission. STEREO-A is a NASA/NOAA solar observation mission to monitor the sun and provide space weather data. Since August 2014, the reception of data was interrupted as STEREO-A moved behind the sun when seen from Earth. As the angular separation has increased again the STEREO mission control reoriented the spacecraft on Nov 9th to point its antenna back to Earth. AMSAT-DL together with the 20m dish of the Bochum Observatory is now again able to receive the space weather data and relay it in real-time to NASA, NOAA and other research institutions. The Bochum ground station is jointly operated by AMSAT-DL and IUZ Sternwarte Bochum. We are supported by the Federal Ministry for Economic Affairs and Energy (BMWi) under project number 50OC1201. On 2nd April 2013, the two NASA STEREO space-based observatories switched to Turbo Codes to transmit their real-time space weather data permanently. 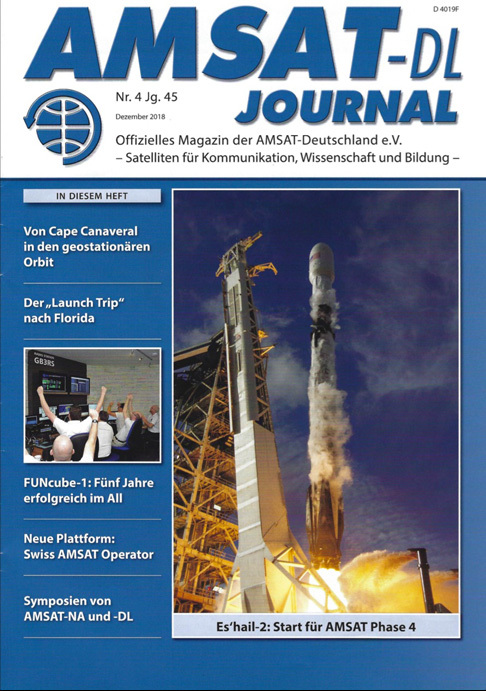 A network of four ground stations, located at the IUZ in Bochum/Germany, CNES in Toulouse/France, NICT in Koganei/Japan and amateur radio station DL0SHF in Kiel-Ronne/Germany receives this data, and uses turbo-decoding software written by AMSAT-DL.